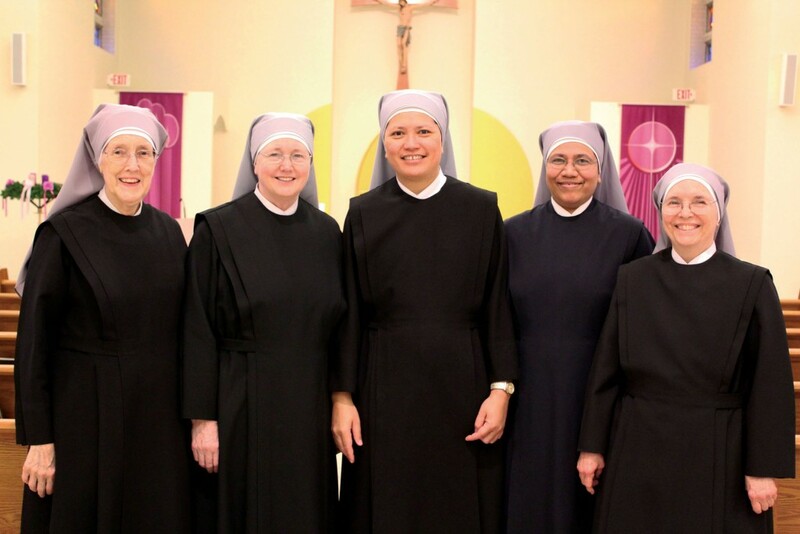 The Little Sisters of the Poor, who minister to the elderly at Holy Family Residence, Scranton, recently announced the appointment of a new Mother Superior and assistants. Assuming new roles are Mother Theresa Louisa, l.s.p., superior; Sister Laurelliya, l.s.p., assistant; and Sister Mary Augustine, l.s.p., and Sister Kathleen, l.s.p., councilors. Photo Caption: pictured left to right: Sister Mary Augustine, l.s.p., councilor; Mother Provincial Margaret Regina, l.s.p., provincial of the Little Sisters of the Poor’s Brooklyn Province; Mother Theresa Louisa, l.s.p., mother superior of the Little Sisters of the Poor’s Scranton community; Sister Laurelliya, l.s.p., assistant to the mother superior; and Sister Kathleen, l.s.p., councilor.